Development of an illustrated identification guide "Sharks of the Arabian Seas"
This guide provides identification keys to 68 species of sharks encountered in the Arabian Seas region, and an additional 14 species of sharks and batoids. These include all shark species whose trade or conservation status is regulated through international instruments as well as the ray and sawfish species known to occur in the region. 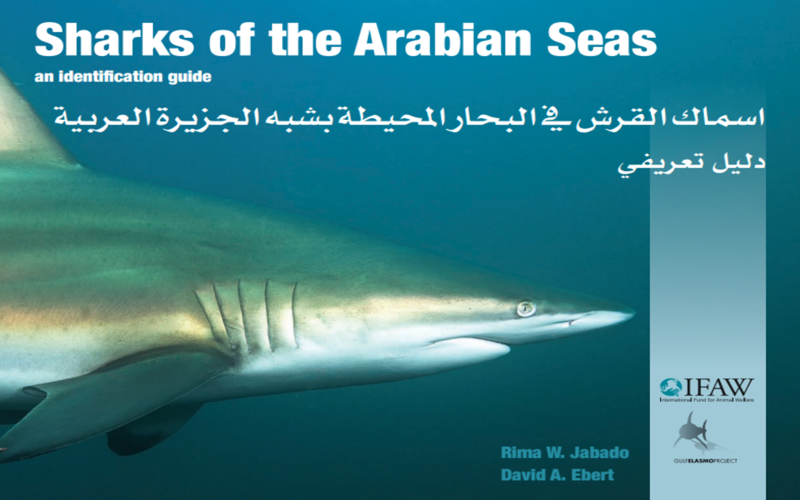 Considering the diversity of shark species in the Arabian Seas region and the difficulties in distinguishing between similar species, a field guide is essential to support and assist fisheries scientists and researchers with shark identification. This guide, which was kindly funded with voluntary contributions from the German government and the International Fund for Animal Welfare (IFAW), was co-authored by Rima W. Jabado and David A. Ebert. The objective of this guide is to improve the identification of sharks that are of actual or potential interest to fisheries in the region by facilitating species differentiation, providing a regional and coherent system of scientific and common nomenclature, and fostering better engagement and communication among stakeholders and building capacity.